Sandisk, has unveiled the world’s first thinnest 1TB M.2 Solid State Drive. It is called X400 and it is also the first single-sided 1TB SATA in M.2 form factor with height of just 1.5mm. Sandisk says that under testing, a 256GB X400 SSD was rated to perform non-stop for more than 5 years at a workload of approximately 40GB/day. It come with increased reliability and endurance as Sandisk has employed its nCache 2.0 and DataGuard technology on this SSD. The X400 storage is currently available in 2.5-inch SSD cases and M.2 2280 form factors at 128GB, 256GB, 512GB and 1TB capacities. 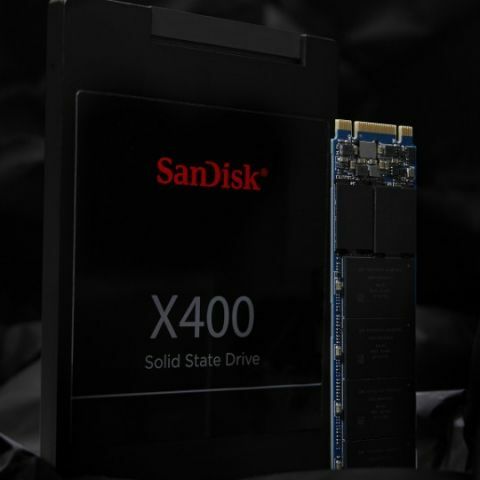 SanDisk Corporation, a global leader in flash storage solutions, today announced availability of the new SanDisk X400 SSD, the world’s thinnest one terabyte (1TB) M.2 solid state drive (SSD). It is the first single-sided 1TB SATA M.2 form factor with a mere 1.5mm height. The X400 SSD is designed for fast start-up and application launch, as well as for extended battery life. Consumer research conducted by SanDisk in late 2015 indicates that these benefits are important for more than 70% of consumers when using PCs.